Our facility features both private and semi-private accommodations. 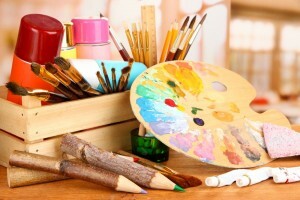 Families are encouraged to decorate the rooms to give a more home like atmosphere and to make the residents feel comfortable by having familiar objects. Each room is equipped with a phone jack, cable TV and WIFI are also available. We are proud to be a smoke free campus for residents and employees. 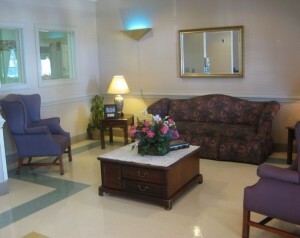 Harnett Woods Nursing and Rehabilitation Center has two living areas where residents and their families can spend time together. One hall has the Library and the other hall has a Family room. When the weather permits, the residents love sitting out front on the porch area and visiting with others as they come and go. 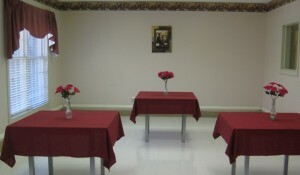 We have four different dining rooms available for our residents. Our largest dining room is for residents who are independent in eating and enjoy socializing with other residents. Each hall has a dining room for those residents who require cueing or assistance with eating. Our fourth dining room is for Restorative Dining where the staff is training the residents to feed themselves. 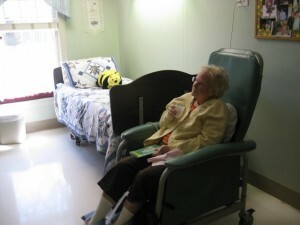 Meals can be served in the resident’s room if that is what they prefer. Families and friends may purchase a tray and eat with the resident. 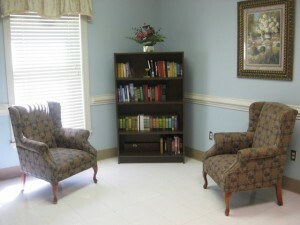 Harnett Woods Nursing and Rehabilitation Center has a full time activity director and a full time activity assistant who provide activities on a daily basis. The facility encourages our residents to participate in activities such as games, crafts, music, religious services and other entertainment. Through activities the residents receive socialization and a sense of community spirit. Numerous volunteers from the community visit the facility and assist with activities. 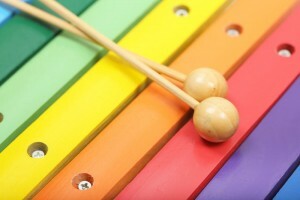 Musical groups, including gospel and country groups, come at various times to entertain the residents.